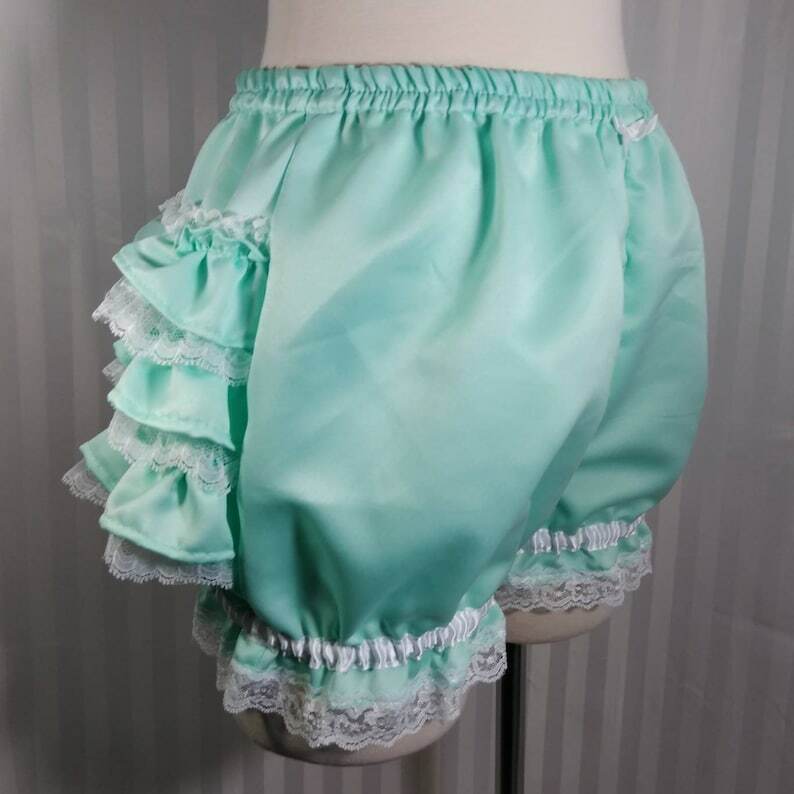 Each leg is trimmed with lace and there are 3 layers of ruffled lace on the back. If you are between sizes, please choose the size according to your hip measurement, and provide your measurements in a note at checkout so we know to make the necessary adjustments. There is no charge for custom size adjustments. If you would like the bloomer to be longer, it is $8 for each additional 2 inches for printed fabrics, and 4 inches for solid color fabric. Please add this fee to your cart before you checkout. We are no longer accepting completely new custom requests. Requests for changes to any of our current products are always welcome.